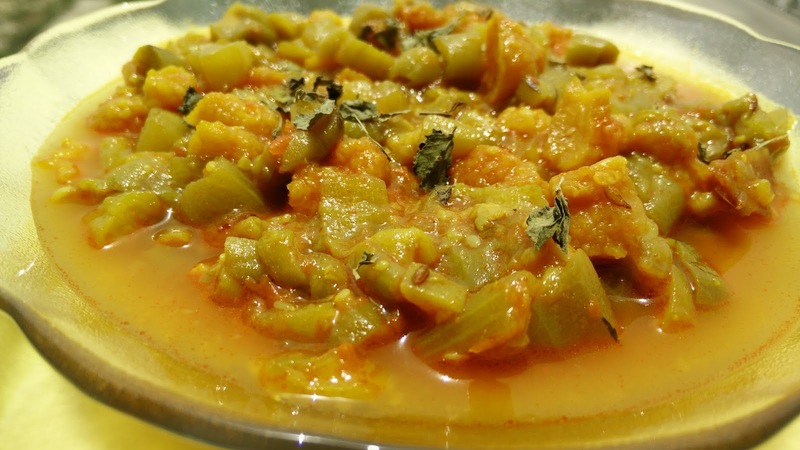 Tori Mangodi is a very light Indian vegetable recipe. Generally tori or ridge gourd is prepared separately but we have added Mangodi (Moong Dal Mangodi) to enhance the taste. In a pressure cooker heat ½ tbsp oil and sauté Mangodi. Set aside. Again sauté cumin seeds till it turn brown, sauté garlic, onion, tomato puree. Add all spices and mix well and cook for 5 min. Add cut tori and mangodi . Pressure cook it for 5 -10 min.